Random thoughts, observations, rants, complaints, and occasional news. Have a peek inside my head. Rileigh: Oh. [pause] Then why you say that: sonofabitch? Me: [removing one hand from the wheel to slap self in forehead] Oh, I forgot to turn back there so we can go to the food store. Rileigh: [in her patronizing, conciliatory tone- that sounds remarkably like what you would hear when someone is talking to a 5 year old who has just spilled his milk] It's okay daddy, we can go an "utter" way. Me: Yes honey, we sure can go another way. 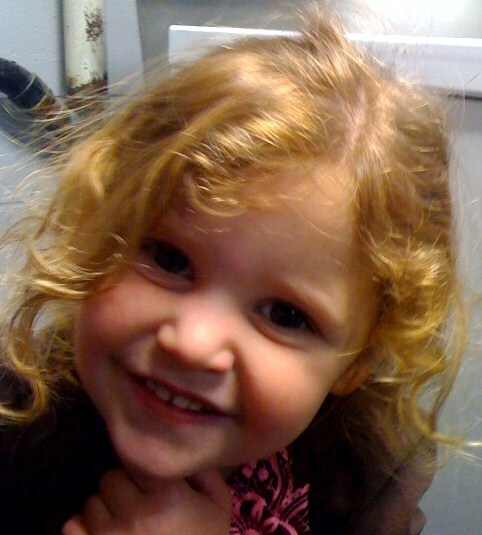 Rileigh: [giggling now] You're silly, daddy! Yes, indeed I am silly. Meagan is, once again, captaining a team for American Cancer Society's Relay for Life; and like last year, has recruited us to be team members. In the previous 2 years we have raised almost $4000. Thanks, in part, to the generosity of readers of this blog. This year our team has set a lofty goal of trying to raise $3500. With your help I know we will do it! For those of you who do not know- Relay is a 14 hour event where one member of our team will be walking around a 1/4 mile track at all times. To learn more about Relay for Life you can click the above link and read previous posts about it here and here. I'm sure the title of this post will result in a few disappointed teenagers with unrestricted access to Google but this is what turns me on! If any of you happen to have an extra $4K lying around burning a hole in your pocket, and you want to turn a middle aged man into a giggling, happy little girl....I'm just saying. I found out today that I am a member of Drexel University College of Medicine's Emergency Medicine resident class of 2013! I have something in common with the program it seems, we both began in 1971! It is one of the oldest Emergency Medicine residency programs around- and while possibly not the oldest resident to come through I'll wager I am certainly to the far right of that curve. Now some more waiting until Thursday at 1pm to find out where I will be going. One thing is certain- Come July, I will begin training as an Emergency Physician. I am stuck inside on a rainy Sunday on this Match Eve trying not to think too much about the 24 1/2 hours that remain until I find out if I matched into a residency program. Fortunately I have Chemistry to keep me company. No not drugs. Chemistry- as in High School Chemistry. Kaitlyn was having a little trouble with some chemistry homework and came to yours truly looking for help. Poor her. I have a reputation for handing out the "bonus plan" when I help with homework. Today's Bonus Lecture was about Avagadro's number but more on that later. Invariably, I go off on some topical tangent until they get that glazed-over look in their eyes. utter, "Thanks, Dad", quickly gather their books, and dart out of the room like they stole something. Her class is working on determining empirical formulas given percent composition. A mole of beer cans would cover the surface of the earth to a depth of 200 miles! A mole of un-popped popcorn kernels would cover the suface to a depth of 9 miles! If you covered the entire state of Texas (roughly 260,000 sq mi.) with fine sand- there would be 1 mole of sand grains. He'll Roundhouse Kick his Candles out! 70 years ago today, the world's baddest badass was born. Chuck Norris destroyed the Periodic Table of Elements because he only recognizes the element of Surprise. Chuck Norris doesn't read books. He stares them down until he gets the information that he wants. 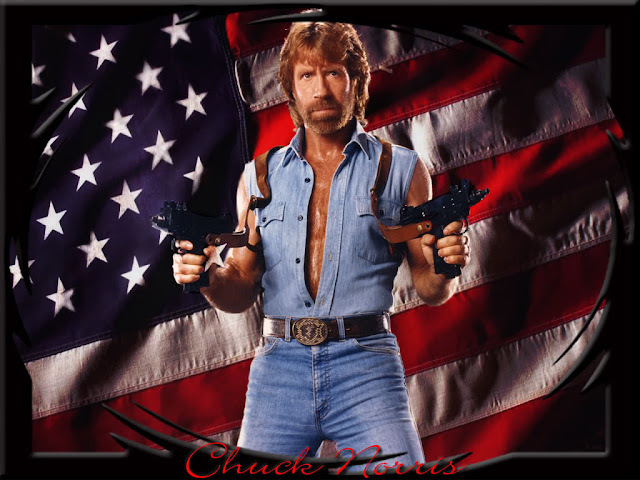 Chuck Norris has 2 speeds: Walk and Kill. There is no such thing as Evolution; just a list of creatures that Chuck Norris has allowed to live. For more fun filled facts check out this site. It feels surreal that all of the work and sacrifice leads to this one moment next week that will determine the rest of my career. But, I suppose that life is just a series of these moments. I am strangely calm at the moment but my serenity is occasionally punctuated by brief moments of sheer terror. Stiff upper lip and all that..
* I have received a bunch of questions about the whole match process so I have decided to include a overview on how this whole thing works. I hope this helps. Every year medical students graduate from medical school and subsequently begin their Residency training. Residency is where physicians complete several years of training in their chosen specialty. This training, is for instance, where family doctors become family doctors, surgeons become surgeons, and psychiatrists become weird. (I kid because I love!) Prior to residency, we are all pretty much the quintessential lump of clay which requires a great deal of molding (preferably by a scantily clad Demi Moore while Unchained Melody plays in the background...but I digress...)....where was I ? Oh, yes- molding- right. In order to become anything resembling useful physicians we need residency training. So how is it decided who will become surgeons and who will become OB/Gyn etc. ? (fighting the urge to do a 'head-injury' joke here) Well, we get to choose. After doing some soul-searching (no offense meant, surgeons) each one of us decides which area of medicine we would like to pursue and then we apply to residency programs in said specialty. For some, deciding on a specialty is one of the hardest steps in this whole process- lifestyle, salary, work environment, patient population, competitiveness of the applicant, and about a million other factors must be carefully weighed so each student can figure out which specialty suits their preferences best. The July of medical student's 3rd year they begin working on their applications to residency programs. Transcripts, Letters of Recommendation, personal statements etc. are all gathered and submitted to ERAS a central web-based application service. Beginning in September, applicants choose which programs to submit their applications to. This is a fairly simple matter of selecting programs from a list within your specialty and clicking on a box. ERAS takes care of the rest (transmitting all of your application info to each program). After an applicant's applications are sent out, begins the waiting phase. Each program has its own unique timetable to do things so this is an anxious period. Programs review applications and based on what they are looking for choose which applicants to invite for interviews. Much angst surrounds exactly how programs choose which applicants to interview. Is it test scores- is there a cut-off number? What about personal statements? What about my letter of recommendation from my High school guidance counselor/ Psychic/ Oral Hygienist? If you are looking for a great source of entertainment hang out in the cafeteria in September and sit at a table full of Medical students. You will learn that, "according to my friend's girlfriend's roommate's uncle- who is the program director's gardener...." that the actual process used by programs to select applicants to interview is a proprietary blend of alchemy, remote viewing, dark magic and the use of a random number generator. Good Luck! Once applications are submitted, slowly but surely (hopefully) invitations for interviews will start rolling in. This is an exciting time- you have at least "made the cut" and the program has an actual interest in meeting with you. Applicants will begin traversing the country in a whirlwind manner and doing their best to make great impressions with each of the programs they interview at. This is the opportunity for each applicant to see the program up close and personal, kick the tires, talk to the current residents, and see if they would like to spend the next several years there. The flip side of this, of course, is that from the program's point of view it is a chance to discover the hidden sociopathic pathology that your personal statement glossed over. I was actually told on an interview, "We just want to make sure you're not a douche." After all of the interviews, each applicant has an idea of which of the programs they liked the best and begins to formulate a list of their top choice, second choice etc etc. Using another web based computer system, the National Resident Matching Program, NRMP, each applicant actually submits their Rank Order List, ROL. In turn, each program will similarly rank each of the applicants it has interviewed. Yes, they actually rank in order the applicants they have interviews in order of preference. This year's deadline for submitting your ROL was February 24th. This year on March 15th at 12:00 noon EST the results of this Matching algorithm will be made known! March 15th each applicant will find out IF they have matched with a program or NOT. Applicants will not find out WHERE they have matched until March 18th. Why the built-in days of agony? The interim period is known affectionately as The Scramble- this is an opportunity for those applicants who have not matched to a program to have access to the still-unfilled spots at various programs and serves as a last ditch effort to secure a residency spot. "Have you mathced yet, Vince?" "Where are you going to be working, Vince?" "Why are you curled up in the fetal position, Vince?" So, I had the best of intentions for migrating this blog over to a new server and giving the whole thing an overhaul. I also had hopes of posting on a regular basis. Well, you know what they say about the road to hell and all of that. This blog began almost 3 years ago as a means to keep family and friends informed about my journey through medical school. Now that I have completed medical school I have been busy with my new job as stay-at-home dad, and frankly writing blog posts got pushed to the way-back burner. "Don't call it a comeback, I've been here for years!" Well- as I said I have been up to my newly graduated physician elbows in Carpet Shark taming. This full-time, stay at home dad thing is no joke- I officially bow my head in reverence to those of you who have been doing it for years- I always understood it was a tough job- don't get me wrong. It is just one of those things in life that you just have to learn for yourself to truly understand. Meanwhile there are only 9 days left until Match Day- where yours truly finds out if he was fortunate enough to secure a residency- or if it is time to dust off those Welding School applications I have hidden in my sock drawer! If there are any of you out there who still read this please stay tuned for an update. I will be migrating this blog onto a different server. I am in the process of setting up the new blog and will post the new address soon. Vaginas and Tigers and Bears..Oh My! Welcome to Surgery...Now Grab Your Ankles! Paramedic turned ER nurse turned medical student- now Doctor Vince ;-) Husband to Kathy, father of John, Meagan, Kaitlyn, Rileigh and Dylan.